Posted on Thursday, January 31st, 2019 at 8:58 am. Images of plants and architecture from botanical gardens investigate sites and histories, highlighting the complicated cultural construction of an idea of “nature”. The digital and hand drawn print processes explore how our interactions with the natural world are mediated through technology, and are thus fragmented and selective. Through her work, the forms are remixed through the filters of printmaking, drawing, digital photography, and collage. 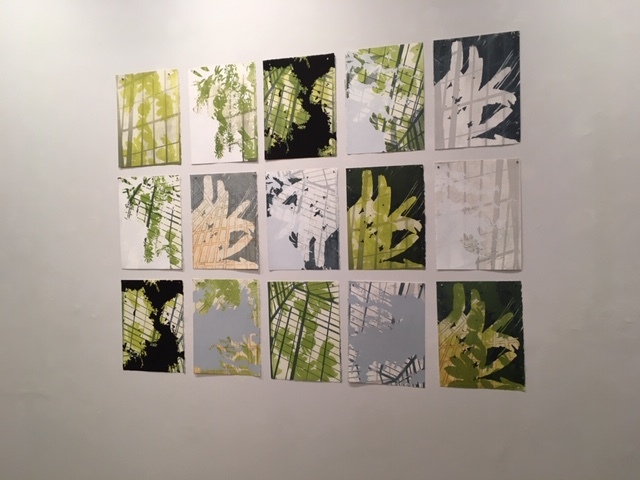 This installation includes prints and Hanging Gardens, a large-scale banner with pigment printing on thin Awagami Inbe paper that has been intricately cut, creating interplay between light and shadows within the environment of the gallery. Taryn McMahon received her BFA from The Pennsylvania State University, University Park, PA, and an MA and MFA from the University of Iowa, Iowa City, IA. 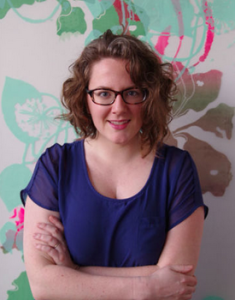 She has received numerous awards for her work including the Southern Graphics Council International Graduate Fellowship and residencies at Anderson Ranch Art Center, Anchor Graphics, Women’s Studio Workshop, and the Lawrence Arts Center. Her work has been featured in recent exhibitions at The Print Center, Philadelphia, PA and Carroll Gallery, Tulane University, New Orleans, LA, among others. She is an Assistant Professor of Studio Art at Kent State University.